This year at Baseworld, Alpina launched the Startimer Pilot Blackstar Chronograph, presented in a 44 mm diameter stainless steel case treated with a stealth black PVD coating. 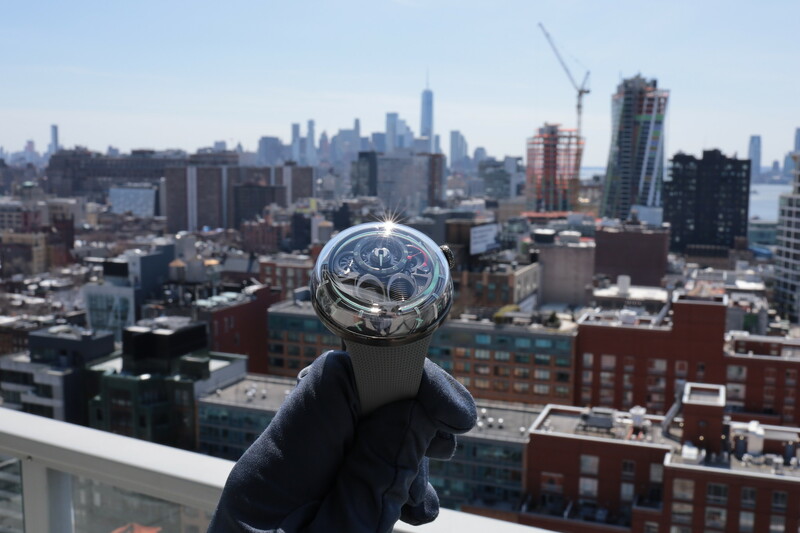 The dial has a sunray grey finish with dual black subdials and a black outer minute ring. The leaf-shaped hour and minute hands are white with luminous material. The hours are marked by a applied luminous Arabic numerals, indexes and a triangle at 12. The chrono second hand is white with a red Alpina counter-weight. Chronograph start/stop and reset functions are controlled by black PVD coated pump pushers. Winding and time setting is controlled via a black PVD steel Pilot crown. Inside, is an Alpina caliber AL-860 that is based on a Sellita SW-500. 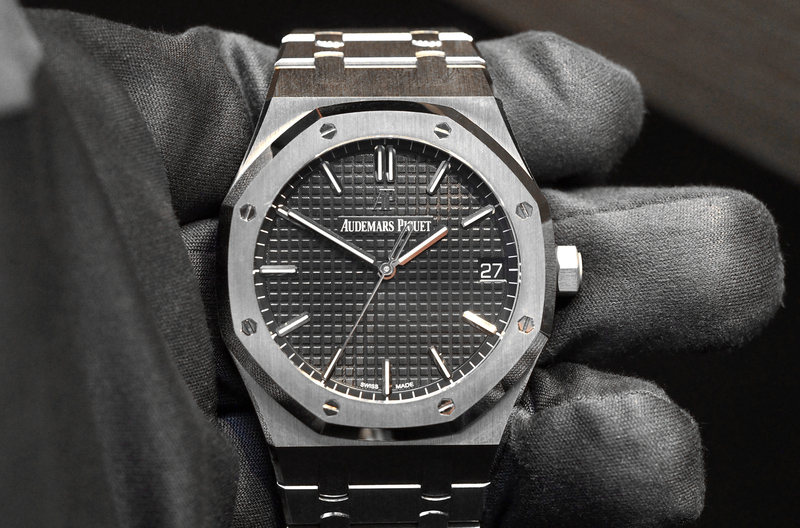 It runs at a frequency of 4Hz, has 30 jewels and a 46-hour power reserve. 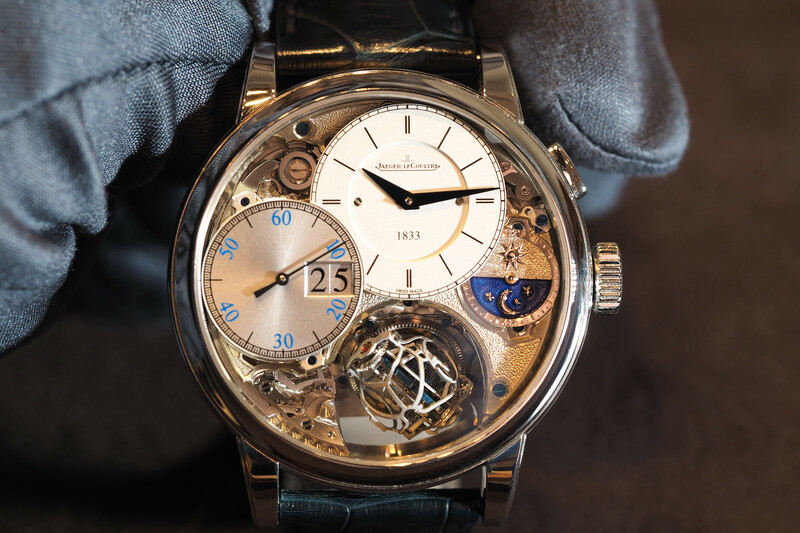 The sapphire crystal features an anti-reflective treatment and there is an exhibition caseback. Water-resistance is 100 meters. 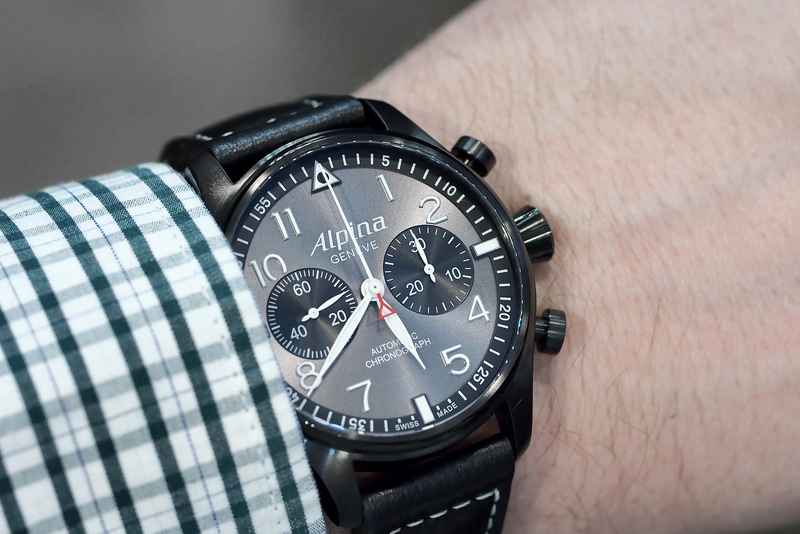 The Alpina Startimer Pilot Blackstar Chronograph comes with a black leather strap with off-white stitching and a deployant buckle in steel black PVD. The price is $3,395.